Plumber Services | Boston, MA | Cooling Unlimited, Inc.
Have you been looking for reliable service for plumbing service in the Boston area, and have struggled to find the right company? Then we have good news: you’ve found us! Today’s plumbing systems are complex, and if you heat your home with a boiler system, you need to know that your technician can handle repairs and service quickly, efficiently, and correctly. Our Boston plumbers offer comprehensive plumbing services that include new installation, replacement, repair, and annual plumbing maintenance. You won’t suffer from sticker shock at the end of a job because you’ll receive a detailed estimate of any work to be done prior to moving ahead with the job. You also won’t be left with a big mess to clean up after we’ve gone: our pros wear protective booties to keep your floors and carpets clean, use drop cloths to protect flooring and surrounding furnishings, and clean up the work area before leaving your home. There’s no need to settle for poor plumbing installation or service when you call the experts at Cooling Unlimited, Inc. for all your plumbing needs! Contact us today to schedule plumbing services in Boston, MA and the surrounding area. 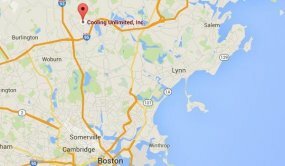 Need expert plumbing help in Boston, MA or the surrounding areas? Call Cooling Unlimited, Inc. today! 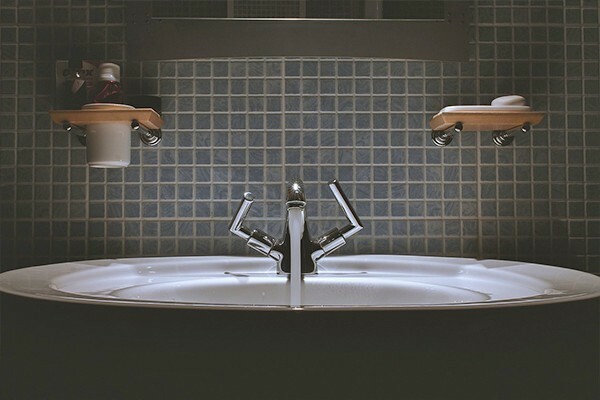 Low water pressure – Whether you see low water pressure in one faucet or throughout your home, consistent low water pressure means there is a problem somewhere in your plumbing system. Discoloration in your water – Water should always be clear. Any type of discoloration means something—and it could be soil, rust or corrosion—is getting into your home’s potable water. This can be potentially dangerous for you and your family, so any time you see discolored water coming from a faucet, it’s time to call Cooling Unlimited, Inc. for repairs. Visible leaks – Not all leaks are hidden, and even those that are will make themselves known at some point. When you see a leak, even if it is a small one, it’s time to call us for help. We are available 24/7 in Boston, MA, so give our plumbing experts a call at any time! We’ll send a plumber who can quickly spot the issue, give the best recommendation for your system and make the necessary repairs to keep your home safe and healthy. Automatic Shut–Off Valve – If you have concerns about undetected leaks causing water damage to your home, you can alleviate this concern with an automatic shut–off valve. This component does for your plumbing system what a circuit breaker does for your electrical box. Call us for details. Backflow Prevention – Backflow prevention is extremely important for the safe and correct operation of your plumbing system. We can install backflow components, or make sure that your existing ones are working as needed. If you are seeing backflow in your plumbing, call us for immediate help. Bathroom Plumbing – No bathroom can function as needed without proper plumbing. Whether you need to replace outdated plumbing and/or fixtures, or are remodeling to create your dream bathroom, our experts are here to help. We specialize in bathroom plumbing, including the installation, repair and replacement of sinks, faucets, bathtubs, showers and toilets. Drain and Sewer – The return side of your plumbing system is extremely important. Without it, your home’s wastewater can’t be expelled properly. If you are experiencing drain and/or sewer issues, or need installation or maintenance services for your drains or sewer line, contact us today! Garbage Disposal – If you’re looking to reduce your home’s food waste, let us help you with the installation of a garbage disposal. Do you already have and use a garbage disposal? Then you’ll need to have access to expert plumbing help for times of repair or replacement, and we are the experts you can count on. Gas Lines – Natural gas can be used for a number of appliances and systems, but having a gas line connected to your home requires by law trained and licensed plumbers to do the work. Our experts can help you with the entire process from beginning to end, as well as repair or replacement of faulty gas line. Kitchen Plumbing – Unless you are looking to have a frontier experience (and we are pretty sure you aren’t) you need reliable plumbing in your kitchen. Whether you need to replace a faucet or are building a new kitchen, we are here to help with comprehensive kitchen plumbing services. Piping – Boston has its fair share of older and newer homes, but all homes need solid, reliable plumbing systems no matter their age. Regardless of the age of your home, our licensed plumbing experts can help you with new pipe installation, replacement of piping, repair and re–piping services. Sump Pumps – We get all kinds of weather here in Boston, and a lot of it involves precipitation. If you have a problem with your basement or crawlspace taking on extra water, let us help you remove that water with our comprehensive sump pump services. Water Leak Detection – Finding where a leak has developed can be challenging, but not when you have the Cooling Unlimited, Inc. experts on your side. Our plumbers have the experience, training, and tools to locate any leak you may have and repair it quickly and correctly the first time around. Water Lines – No home can function without potable water. We can help you install a brand new water line, replace a damaged or corroded one, or repair an existing water line. Water line work is not a DIY kind of job. Instead call the pros you can count on: Cooling Unlimited, Inc..
You maintain your heating and cooling system on an annual basis, but there’s another very important system that needs annual maintenance as well: your plumbing system. With a system as lengthy and complex as your home’s plumbing, there’s a lot of room for something to go wrong. However, much of your home’s plumbing is hidden behind walls, ceilings, and floors, making it difficult to spot a small problem that can eventually become a big one. This is one of the most important reasons to schedule annual plumbing maintenance with a Cooling Unlimited, Inc. expert: detection of existing or developing problems. Be sure that the plumbing in your Boston, MA home is safe and secure. Another reason to call for our professionals is to make sure that all fixtures and water–using appliances have been installed properly and work correctly. Your expert plumber will also check all the faucets, toilets, and other plumbing fixtures for your home, as well as the sewer/septic line and the main water line. Maintenance keeps your plumbing system in good working order while also helping to prevent repair. No one knows better than we do what a nightmare it can be to have serious plumbing issues develop after working hours. Luckily, our Boston plumbers are on call day and night, 24/7. If you have a heavy leak, a clogged drain or a serious plumbing issue that can’t wait, call us right away. Our emergency plumbers have experience working with different plumbing systems and can quickly and comprehensively fix the problem at hand. Simply give us a call as soon as you can, and our Boston plumbers will be on their way!